They’re lists that would be the envy of the Nation. 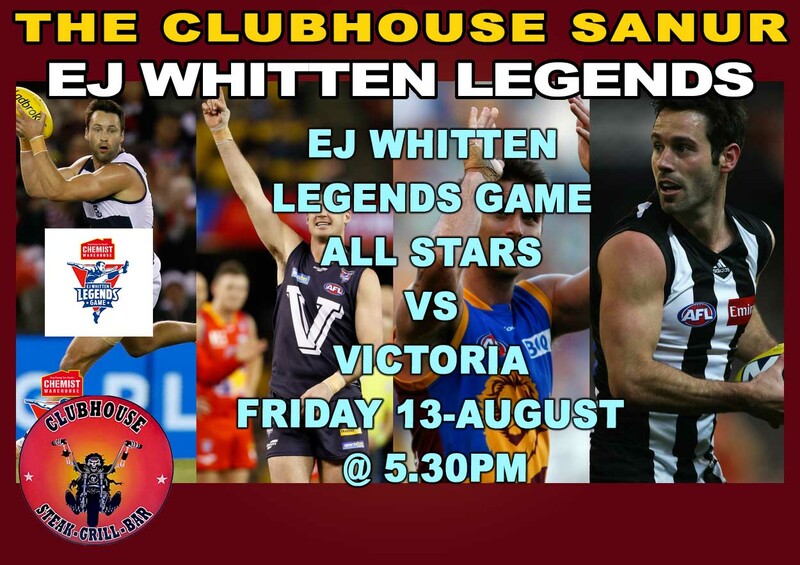 Featuring 2 Coleman Medallists, 3 Brownlow Medallists and a staggering 63 All Australian Jerseys between them, The EJ Whitten Legends Game is stacked with first class talent. The game has brought together an elite group of recently retired AFL Players with Tim Watson coaching the ‘Big V’ and Wayne Carey The All Stars. The Victorian Team, includes game heavyweights Jonathon Brown, Brad Johnson, Adam Yze, Scott West, Campbell Brown and many more. Whilst the All-Stars includes Luke Darcy, Leon Davis, Kane Cornes , Andrew McLeod, Simon Black, Alan Didak and Cameron Mooney. Recently retired footballers such as Brent Harvey, Nick Dal Santo, Dustin Fletcher, Ted Richards, Brian Lake, Adam Cooney and Luke Ball add to the list of premiership players, brownlow medallists and club champions taking the field at Etihad Stadium on September 1st. The game is an opportunity for several AFL players to reunite with the likes Nick Dal Santo and Luke Ball, Leon Davis and Alan Didak and Luke Power and Jonathon Brown running out under the same banner once more. With Legends from almost every club, AFL fans all around the nation have a chance to re-ignite the rivalry once more with Victoria leading 11 games to 9 with one draw since the games inception in 1995. The game is played in memory of AFL Hall of Fame Legend Ted Whitten and has pledged to raise money for the EJ Whitten Foundation which supports Men’s health and raises much needed funds for prostate cancer research and treatment.